A three-judge panel of the 9th U.S. 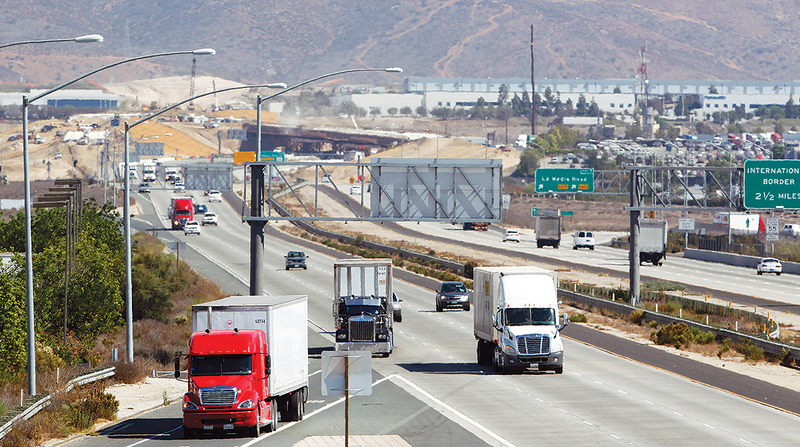 Circuit Court of Appeals denied a claim made by farm trade groups, fuel producers and American Trucking Associations that the California regulation violates the federal Commerce Clause and principles of interstate federalism by attempting to control commerce occurring outside the boundaries of the state. The Commerce Clause grants Congress the power to regulate commerce with foreign nations and among the United States. “If the states are to remain a source of innovative and far-reaching statutes that supplement national standards, they must be permitted to submit the goods and services sold within their borders to certain environmental standards without having thereby discriminated against interstate commerce from states with lower local standards,” the panel said in a decision Jan. 18. The 9th Circuit also recently rejected a similar claim by some of the same trade groups in a case involving the state of Oregon’s low-carbon fuel program. In that lawsuit the groups claimed that the program was designed to benefit the local transportation fuel industry at the expense of out-of-state competitors. In the California case, the panel held that it was bound by recent circuit court precedent that settled whether a program very similar to the California low-carbon fuel standard was inconsistent with the structure of the Constitution. The judges in the California case said the state legislature determined that the state faces tremendous risks from climate change. “With its long coastlines vulnerable to rising waters, large population that needs food and water, sizable deserts that can expand with sustained increased heat, and vast forests that may become tinderboxes with too little rain, California is uniquely vulnerable to the perils of global warming,” the panel said. The panel also said that to combat the risks, the California legislature and its regulatory arm, the California Air Resources Board, chose to institute a market-based solution that recognizes the costs of harmful carbon emissions. The board approved the low-carbon fuel standard in 2009 and began implementation on Jan. 1, 2011. Amendments were made by December 2011, which were implemented on Jan. 1, 2013. The standard was again adopted in September 2015, becoming effective on Jan. 1, 2016, to address deficiencies in the way the original regulation was adopted.